This holiday season Epiphone is proud to be a sponsor of My Music’s annual Bedstock Festival going on now through December 4 featuring Weird Al, Epiphone Riviera Custom P93 fan Jeff Tweedy, Sofi Tucker, TV On the Radio, and many more. Bedstock is the first and only online music festival where artists perform from bed for sick kids. The festival raises funds for Children’s Cancer Association and the MyMusicRx program. 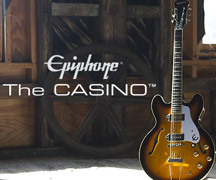 Check out the official website for more info and how you can enter the sweepstakes competition featuring the grand prize of an artist-signed Epiphone Dot, inspird by the late 50s "335" design and featuring Alnico Classic™ Humbuckers. Check it out! Also, don't miss our interview with Nashville ace Will Kimbrough who recently took his Ltd. Ed. 335 PRO on the road with legend Emmylou Harris. 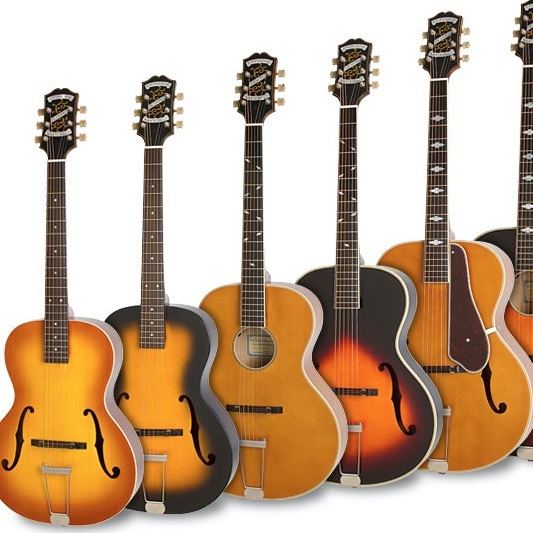 "I love it," Kimbrough told Epiphone. "The 335 PRO is super reliable. One thing I love about this guitar is you can turn the volump up and down and the pickups don't dull out. That's what I had heard about them and it's true! A lot of guitars can do one thing and that's it. I can play anything with the 335. When you turn these (pickups) down, they still sound good."